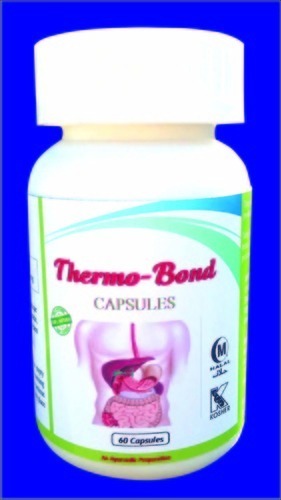 Thermo-Bond is formulated with a unique fiber blend containing cellulose, apple, acacia, oat and citrus to promote digestive system health. Tang Kuei Plus is formulated with Dong Quai root, which has been traditionally used for PMS support. Recent scientific studies suggest that Black Cohosh support a healthy female reproductive system. Black Cohosh is combined with Passion Flower Black Cohosh for added benefits. Garden 7 contains powerful antioxidants and essential phytonutrients that help nourish cells and organs so they function properly. Ingredients incorporated in this are known to enhance immune system function of the body, promote optimum health and vitality. Melatonin is a naturally occurring hormone that regulates sleeps and wake cycles. Sleep provides numerous health benefits, including maintenance of a healthy immune system. Pure Rest Drops contains natural melatonin which is known to support better sleep. Booster C contains unique blend of natural ingredients which is specifically designed to support healthy immune defenses. It can help to prevent from infections, flu, cold, fever, cough etc. Visionex is loaded with potent antioxidant formula designed to protect the delicate tissues of the eye from photo-oxidation. Lutein, zeaxanthin, and bilberry extract work together to protect the retina and help maintain long-term eye health. Enriched with Natural adaptogenic herbs MoodLift Complex can help to enhance mood. St. John's Wort present in MoodLift Complex has been traditionally known as "the natural solution for mental well-being." Recent scientific studies suggest that it plays an important role in the proper transmission of nerve signals. Blood Pressure is a scientifically supported natural solution to help retain healthy blood pressure by helping to promote healthy blood vessels and blood flow. Cholesterol Reduction Complex is a proprietary formula with clinically proven natural ingredients that may reduce the risk of heart disease by helping to lower cholesterol. It is made with a powerful blend of sterols and stanols, which are found naturally in plants, fruits, vegetables, and grains. Sudies suggest that Sterols and stanols help to lower LDL ("bad") cholesterol. CoQ with Q-Trol delivers an all-natural proprietary blend of clinically tested coenzyme Q10 plus resveratrol that provide potent support for heart health. Scientific studies that it also helps to protect arteries against the oxidation of low density lipoproteins, which may help promote blood vessel function. It also facilitates the production of energy in body cells. Senior's Daily Multivitamin contains a unique blend of internationally recognized herbs loaded with vitamins and minerals along with ingredients such as lycopene and lutein that help support the changing nutritional needs of maturing adults. Lycopene can provide antioxidant support and lutein promotes healthy eyes. OsteoMatrix is a specially formulated blend of critical nutrients like calcium, Vitamins D & K, and magnesium to help build bone density when you’re young and minimize bone loss as you age.Scientific studies suggest that Nutrients in OsteoMatrix can help build strong bones and teeth and minimize bone loss. CorEnergy is loaded with herbal adaptogen and antioxidant phytonutrients that can support the body's own ability to maintain energy and resist everyday fatigue. Herbal blend present in CorEnergy is known to enhance stamina, by promoting blood circulation and enhancing cardiovascular health. Numerous scientific studies suggest that bamboo leaf can eliminate free radicals, inhibit the peroxidation of lipids, cleanse blood vessels, and support heart health. Bamboo leaf can also regulate immuno function; significantly promote the resistance of body to adverse environment and diseases. The natural oil in Baraka Capsules is well known for its efficacy in the treatment of a wide range of disorders and help in overall health and vitality. It can increase body vitality, overcome daily fatigue & weakness, improve body immunity, help in bronchial asthma, whooping cough, stomach pain, flatulence etc. Liver Aid contains unique blend of natural ingredients known to purify blood, release body toxins and removing waste products from the body. Numerous scientific studies suggest that it can protect the liver from chronic injury, slow down hepatic steatosis, repair liver cells, enhance the activity of detoxification enzymes in liver and can also slow down alcoholic liver cirrhosis. Pine pollen with ginseng is loaded with essential nutrients and biologically active substances, like amino acids, vitamins, trace elements, enzymes etc known to relieve fatigue, boost energy, reduce stress and increase immunity. CarotoMax is enriched with unique and advanced blend of herbs that are known to support eye health. Scientific studies suggest that the key nutrients in CarotoMax have been shown to increase the density of the macular pigment, an area critical to visual acuity, help filter harmful UV light and support healthy eye aging. Gentle Sleep Complex combines a unique combination of natural herbs traditionally used to promote restful sleep. Studies have shown that these can help to promote relaxation and maintain a calm state. Sodium alginate, an important part of the kelp plant, is mucilaginous and gels in water. Numerous studies suggest that sodium alginate can support the intestinal system. It may absorb heavy metal ions from body and encourage normal eliminative function. Bayberry is known to support the glandular and immune systems. Recent scientific studies suggest that Bayberry root bark has astringent properties. It can help to support female reproductive system, the liver, the immune system, oral health and many more. Blood Sugar Formula is enriched with natural herbs known to nourish the liver and pancreas. Recent scientific studies suggest that these helps inhibit the absorption of sugar, allows the pancreas to produce optimal amounts of insulin and provides nutrients necessary for glandular system function. It can support the liver, pancreas and intestines in promoting blood sugar levels already within the normal range. The respiratory system regularly encounters airborne particles such as microorganisms, pollutants, pollens and dust, and protects delicate body tissues. As a result, the functions of the lungs and bronchi can be affected. Bronchial Support Formula is formulated with natural herbs known to nourish the lungs and bronchi and help support the respiratory system. It provides nutrients necessary for respiratory health and function. Flash-Ease is loaded with natural herbs which are known to balance hormone levels and support mature woman’s body. Recent scientific studies suggest that these can provide glandular system support for women. Nature’s Three provides soluble and insoluble fiber from three different sources like psyllium, oat fiber and apple fiber. Scientific studies suggest that these are known to support the digestive and intestinal systems, promote regularity in maintaining healthy bowel movements and relieve from constipation. Psyllium hulls have one of the highest levels of soluble fiber known, much more than that of oat bran. Recent scientific studies suggest that Psyllium hulls can encourage normal bowel movements and support the overall intestinal system. It can play an important part in helping the body maintain cholesterol levels that are already within the normal range and may help to support cardiovascular health. Loaded with natural herbs Skin Detox Capsules supports the structural system. Scientific studies suggest that these can help to pull out toxins from the skin and may relieve skin dryness and non-cystic acne. As with all Ayurvedic formulas, Skin Detox is designed to maintain a balanced state of well-being. Female Comfort is fortified with unique blend of natural ingredients known to support the female reproductive system. Scientific studies suggest that aids in glandular system functions and provides nutritional support for menopausal women. It can help to relieve from menopausal symptoms like hot flashes, mood swings etc. Crave Check is formulated with natural ingredients scientifically known to promote weight management. These can support appetite control by helping to maintain healthy blood glucose levels already within the normal range. vCapsicum is known to have warming strength. Numerous scientific studies suggest that capsicum can stimulate blood flow and provide digestive and circulatory support.